Visitors to the expansive Biltmore Estate in Asheville, North Carolina will soon have a new location close to the historic home where they can spend the night. The Village Hotel on Biltmore Estate, the second lodging property on the estate, is now under construction and scheduled to open in December of this year. With 209 guestrooms and many amenities, the 130,000 square foot hotel is located within the estate's popular Antler Hill Village and adjacent to the estate winery. The design of the hotel complements other buildings on the property nestled in the western North Carolina mountains. While those structures have aging cedar shakes on their roofs, the new hotel will be covered in simulated shake roofing from DaVinci Roofscapes. The hotel's design team selected the Bellaforté Shake in a unique custom blend of three colors to top the sprawling four-story hotel. 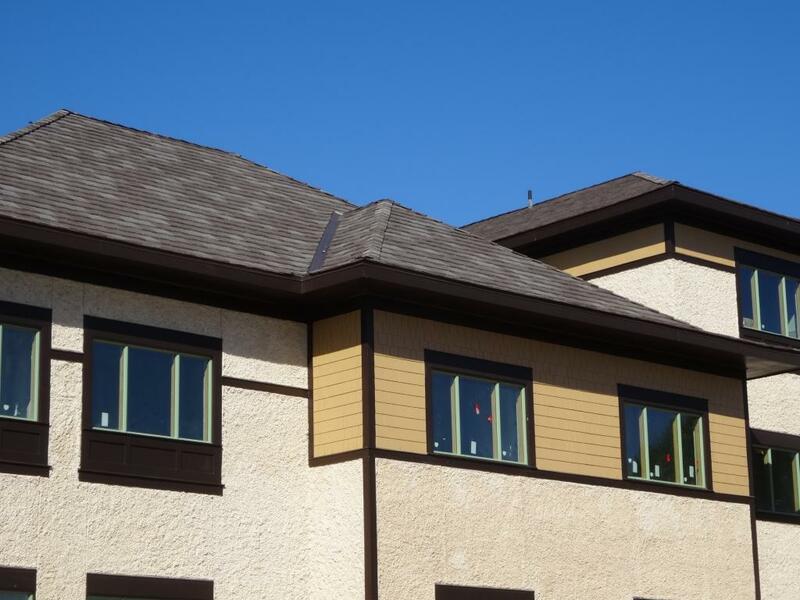 The durable and low maintenance composite shake roofing has a natural hand-split cedar shake look with slanted sawn edges and staggered lengths. At a one-inch average tile thickness, Bellaforté Shake roofing tiles are reminiscent of jumbo cedar shakes on other structures on the Biltmore property. An extra bonus for the developers of this project is that DaVinci polymer shake tiles have achieved a Class A Fire Rating and also resist impact resistance, moisture and algae growth. And, these eye-catching tiles add dimension to the designer roof that complements other buildings in the Antler Hill Village complex. You don't have to live on an estate to have designer shake roofing tiles! See Shaking Up Your Roof with Unlimited Possibilities and 2015: Are There Polymer Shakes in Your Future?